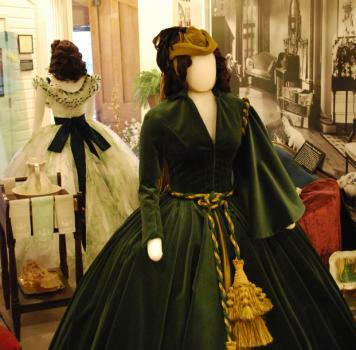 Whether you&apos;re a Gone With the Wind fan or history buff, the Road to Tara Museum boasts items from the famous movie and book along with artifacts from the Civil War. See the progression from the real history of the Civil War&apos;s Atlanta Campaign and the 1864 Battle of Jonesboro to Margaret Mitchell&apos;s and Hollywood&apos;s Gone With the Wind. Walking into the 1867 Historic Train Depot in Jonesboro, which houses the Road to Tara Museum, begins your journey. 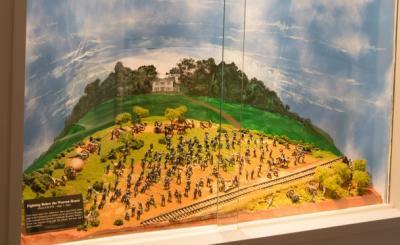 See an authentic "Sherman&apos;s necktie," a section of rail twisted into a loop so it became useless to the railroad, a hand-painted diorama of the two-day battle of Jonesboro and the story of Father Bliemel. As you continue your museum experience you&apos;ll make your way through exhibits featuring Margaret Mitchell&apos;s china, reproductions of Scarlett&apos;s most famous dresses, foreign edition library and the four portraits of the main characters that hung on the Richardson Building (across from the Loew&apos;s Grand Theater) during the 1939 Atlanta premiere. The museum is closed on Thanksgiving, Christmas Eve, Christmas Day and New Year&apos;s Day. Exit 228 off Interstate 75, follow the brown signs for the Road to Tara Museum and Historic District.